If there is one type of app I am kind of addicted to, it is the financial and bill pay apps. I am forever looking for a better way to keep organized. Even when I am completely satisfied with my current methods, if a new one launches, I will at least check it out. 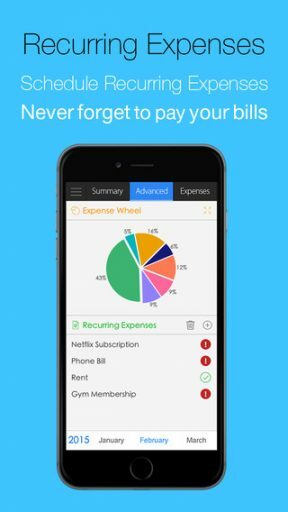 Claiming to be the, “Best way to Save while you Spend,” Expense Tracker 2.0 had me intrigued from the very start. ◆ Expense Tracker 2.0 is the Best Expense Manager you can get on both iPad and iPhone. ◆ What do others say about Expense Tracker 2.0, the best Financial Planner? 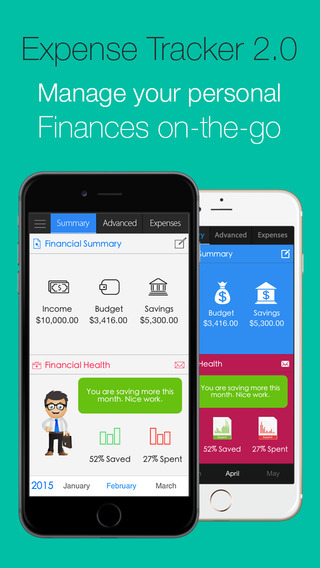 Expense Tracker 2.0 makes it super easy for anyone to organize their finances. The layout is simple and very user friendly. The homepage shows first the Financial Summary with areas for Income, Budget and Savings. Below that, the Financial Health report can be accessed and even emailed if you like. Budget percentages with saved and spent percentages are also shown completing the financial snapshot. Everything else can be accessed in a nicely hidden tool bar on the left with options for adding income and expenses along with a built in calculator, settings and extra tutorial section. To really get a good look at what your financial status is, it is as simple as filling in the blanks. Begin with adding your income and choosing a percentage of money you would like to go to savings. Set the recurring frequency and save by tapping the check mark. I really liked setting the savings amount up front. Taking it out of the budget at the beginning makes it less likely for me to spend it. From there I added my recurring bills. What is great about being able to set up recurring expenses is that most monthly expenses are. This allows you to enter the bulk of your expenses once, allowing the app to finish the job. Once everything is entered you begin to see a clear picture of the situation with the financial assistant and expense wheel there to guide you. Expense 2.0 also has some wonderfully helpful add-ons that I think really make the app above average. The security addition of a passcode is always a good option to have on a financial app like this. Even better is the ability to use Touch ID, making it that much more convenient. My favorite feature would have to be the widget. I can see my monthly overview and use the short-cuts to add income or expenses. All of this for free. 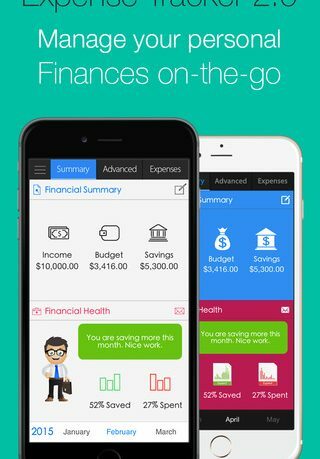 Expense Tracker 2.0 is a great way to evaluate your finances on the go. It is now available for free in the App Store and compatible with iPhone, iPad and iPod Touch. Extra features including themes and unlimited expenses can be added with in-app purchases. 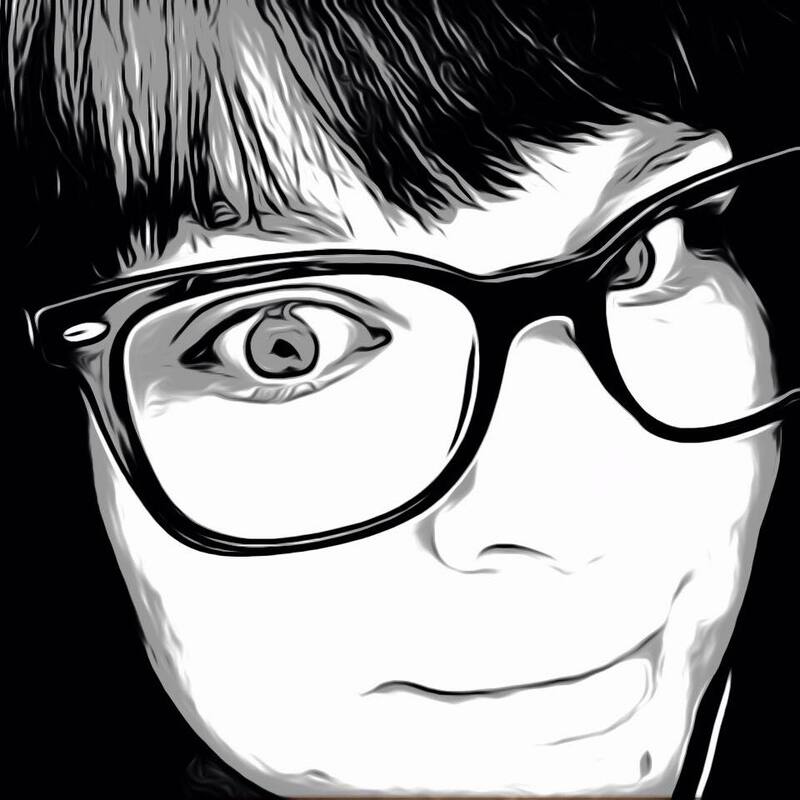 This app is awesome! It helped me a lot to save more and now I’m having a good financial health status. Great app. Deserve 100% rating. It is very useful. Feature rich, simple. I’ve tried a number of expense managers, this one is my favorite by a mile! After all I found a best expense manager app which suits me 100%. It is very easy to use and well going with my busy life style. Superb app! I tried this app after reading the review. Was just curious.. but after I started using it I got addicted to it! Everytime I spend I noted I updated the app and later on I knew where to cut down the costs and where not to! Now I save a whole lot of money and I am super happy! This seems to be a great app. I studying it at the moment. I have one question. How to have this in iPhone and iPad in the same time having same data. I have in both devices but its two different set of data. Any idea how to couple these two.